Kickstarter Day 21 begins to a good start with 2 new backers. Yay! I mean double Yay! Just over 1 week to go. Here is a idea joraworks is modeling as a case study for future tech for the mobile phone industry. We like to call it a SuperPhone. Basically, it’s a smart phone used as a full size Mac or pc. The idea is your always connected to your computer no docking or transfer of info. from device to device. The phone does it all. advantage is mobility. Now your home or office or anywhere only needs a keyboard and a monitor. 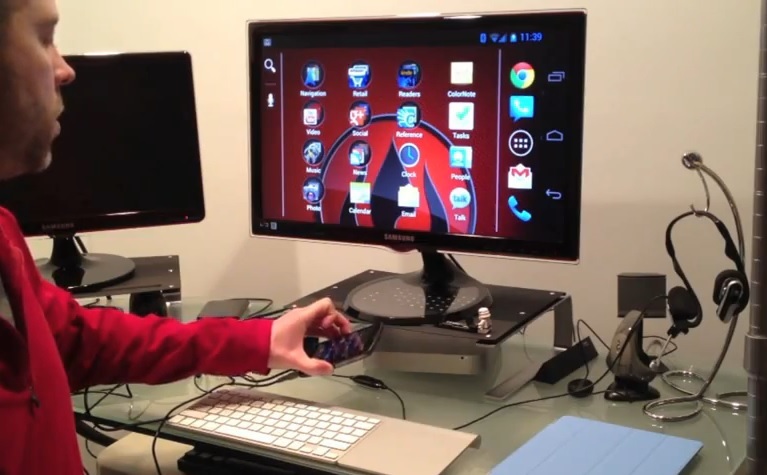 The phone can be used with a full scale monitor and keyboard anywhere as your main computer. This becomes even more viable as a lot of the high memory hardware programs are going to the cloud like the Adobe Creative Suite. Here is a great example someone has already made. Check out the video below.